It doesn’t come as a surprise that majority of the most followed Twitter accounts for 2017 consists of actors and actresses – with the exception of MYX Philippines (@MYXphilippines), a Filipino TV channel popular among the youth whose main content includes music videos, and @ohteenquotes, a teen account for inspirational quotes – given that Filipinos are known for their love of television. 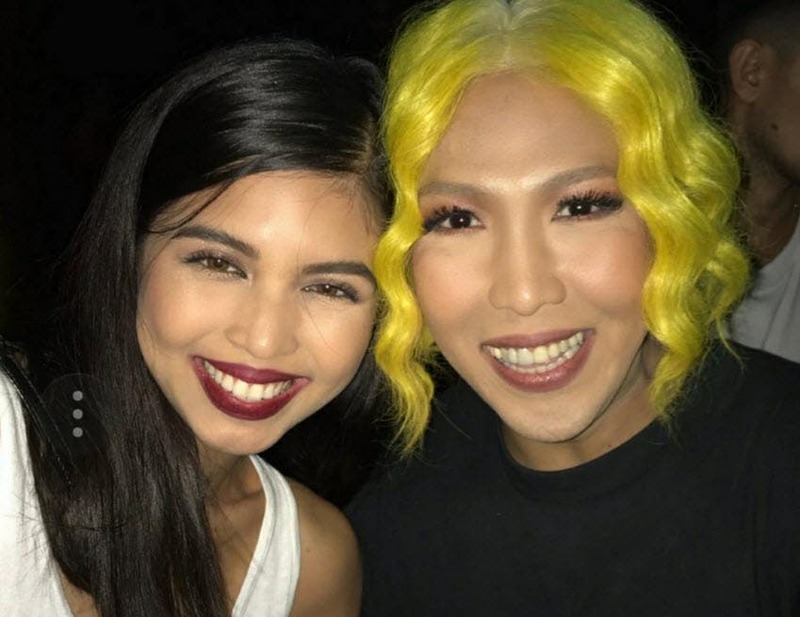 Vice and Maine, two of the Philippines’ Twitter superstars snapped together despite their rival noontime shows. 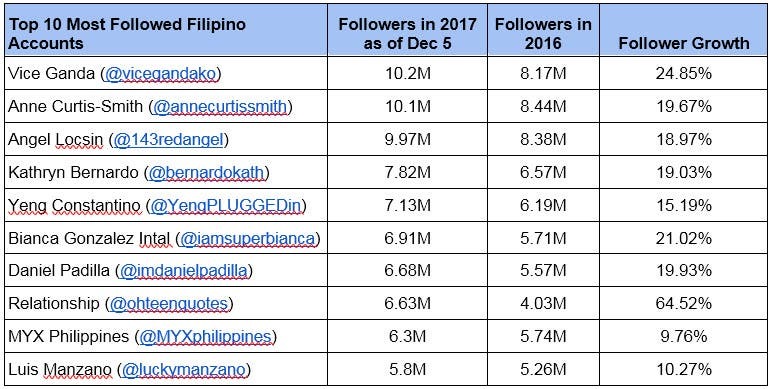 Before the year ends, Vice Ganda took the “Most Followed Filipino Twitter Account” title from his “It’s Showtime” co-host Anne Curtis, the previous leader. The comedian now has 10,160,705 followers as of December 4, 2017. Curtis, on the other hand, is not far behind with 10,084,060 followers. Meanwhile, Angel Locsin is about to hit the 10 million Twitter followers milestone. Her account now has 9.97 million followers which is currently in third place in the whole Philippines. Other Kapamilya stars in the Top 10 are Kathryn Bernardo (#4), Yeng Constantino (#5), Bianca Gonzales-Intal (#6), Daniel Padilla (#7) and Luis Manzano (#10). No Kapuso star was able to penetrate the Top 10 so far. Wot a joke? The guy is the most followed but not th most tweeted celebrity hahaha!! Saan n ang mga followers nya? I guess all of them are ghosts accounts hahaha! !